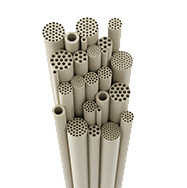 Likuid manufactures highly hydrophilic ceramic membranes made of alumina (Al2O3), titania (TiO2) and Zirconia (ZrO2), different geometries and pore sizes. 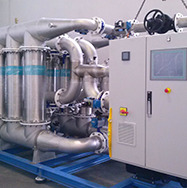 We design and supply fully engineered filtration solutions for a lot of different applications. 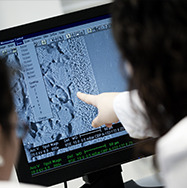 We can accompany our customers from the initial study to the final commissioning and operation. A cookie is an information file which the server of this website sends to the device (computer, smart-phone, tablet, etc) of the person who signs in the page, in order to store and recover information referred to the activity performed in such equipment. Likuid Nanotek, S.L. uses different types of cookies (technical, analytical and social) only with the purpose of improving the surfing of the user in the web site, with no advertising aim or similar. Likuid Nanotek, S.L.,does not collect any personal data through cookies. All the cookies, except those used by Google Analytics statistics system, are temporary and disappear when the session is shut down. b) Tools of third parties, available on line, which allow the users to detect the cookies in each web site they visit and proceed to its deactivation. Neither this web, nor its legal representatives are to be made responsible of any content or veracity of the privacy politics that third parties mentioned may have in this cookies policy. The acceptance of the present policy implies that the user has been informed in a clear and complete form concerning the use of the storage devices and recovery of data (cookies), therefore Likuid Nanotek, S.L. has the user´s consent for the use of same, according to established in the article 22 of Law 34/2002 of July 21, of the Information and Ecommerce Society Services (LSSI-CE).